Nepal Earthquake Survivors Receive Help - Thanks To You! Sapna, a 15-year-old girl from rural Nepal, lives in the Sindhupalchowk district, a region where 90 percent of the homes were destroyed or too damaged to occupy after a 7.8 magnitude earthquake struck on April 25, 2015. Sapna’s family has food to eat for now, thanks to your help, but they will need continued assistance to rebuild their lives. Sapna was on the first floor of her house when the quake hit – she escaped. Her young cousins who were playing on the second floor, however, died when the house collapsed. “Despite our efforts, we were not able to save them,” said the boys’ mother. When relief workers arrived with supplies, some of Sapna’s 20 extended family members were sleeping outside, exposed to the elements, because there wasn’t enough room for everyone in their single, temporary tent. “We were not able to get any of our mattresses, blankets, and clothes from under the rubble,” said one family member. Sapna’s family has no land, because they belong to the low-caste known as the Dalit - the poorest community in Nepal. They have no land to cultivate or stored food to eat. When the house collapsed, the family lost their tailor shop, their sole livelihood. Food for the Hungry's operating partner provided the four households living in Sapna’s family compound with tarps, ropes, buckets, soap, jerry cans for carrying water, and water purification solution. The journey to recovery will be a long one for Sapna and her family as they struggle to restart their business, renew a steady stream of income, and piece back together their broken lives. But thanks to you, they don't have to start that journey alone. 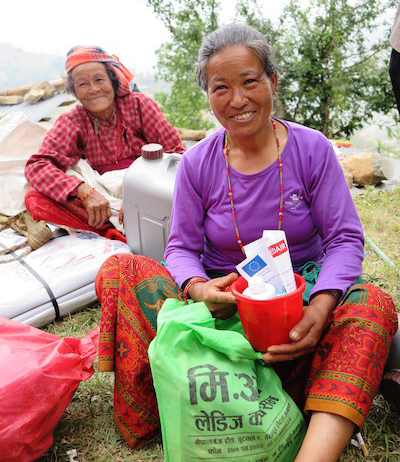 Your donation, which helped Food for the Hungry contribute to a global response through Integral Alliance, has aided more than 55,000 people like Sapna with items including food, shelter materials (tarps and ropes), personal hygiene kits, and water purification systems. 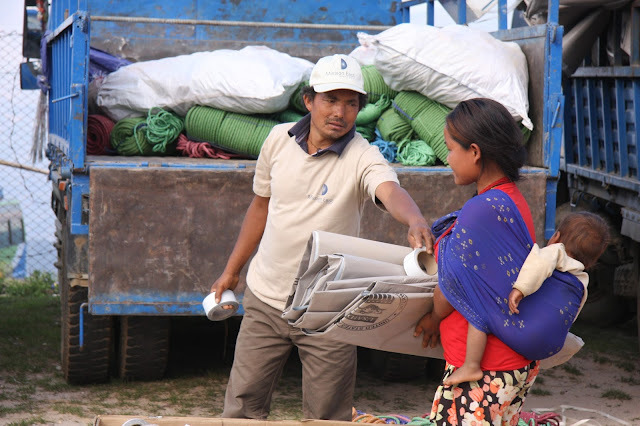 You sent an expert FH staff member to Nepal to lead Integral Alliance’s response, and coordinate with a myriad of local churches and organizations. FH is now sending a shelter expert to support families, like Sapna's, in the construction of homes capable of withstanding both monsoons and earthquakes. Food for the Hungry is committed to walking with churches, leaders, and families in overcoming all forms of poverty by living in healthy relationship with God, others, and creation. As a trusted partner in ending poverty, you are valued and appreciated. Thank you for joining us in this endeavour! 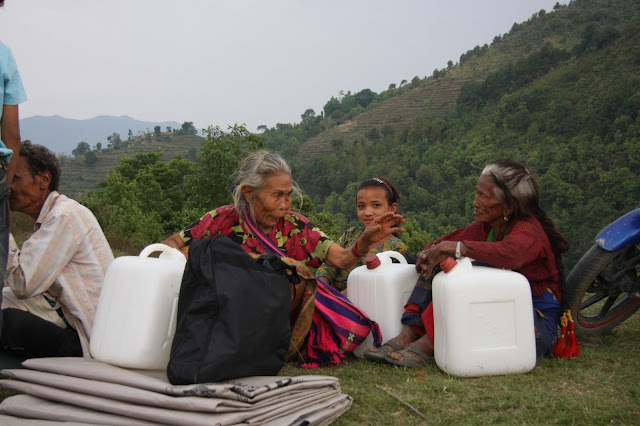 Food for the Hungry: Nepal Earthquake Survivors Receive Help - Thanks To You!